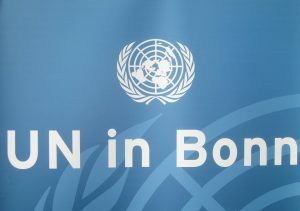 On 21 February 2018, the United Nations Global Centre for Human Resources Services started its operations on the UN Campus in Bonn. The Global Centre is the 20th member of the UN family in Bonn, which also includes the Secretariat of the United Nations Framework Convention on Climate Change and the United Nations Volunteers programme. The Global Centre is to deliver a select range of HR-related services on behalf of and for the participating Organizations of the United Nations Common System.